If most (or worse, all) of your retirement “eggs” are relying on a pension plan, now would be the time to consider diversifying. Short of a miracle, pensions are on their way out. Some experts believe they have been doomed since 2008. At the state level, Governments all across the country are raising taxes to account for pension shortfalls that have been plaguing state economies for decades. New Jersey Governor Phil Murphy proposed taxing online-room booking, ride-sharing, marijuana, e-cigarettes and Internet transactions along with raising taxes on millionaires and retail sales to fund a record $37.4 billion budget that would boost spending on schools, pensions and mass transit. But as we reported earlier this year, New Jersey is having serious financial challenges. And it’s important to remember that millionaires can move out of the state, taking with them a big chunk of tax revenue that could fund New Jersey’s already broken pension system. The US pension system is beyond repair. And if you’re depending on pension income to carry you through retirement, it’s time to consider a Plan B. And it doesn’t matter if your pension is public or private, it could affect anyone with a pension plan. 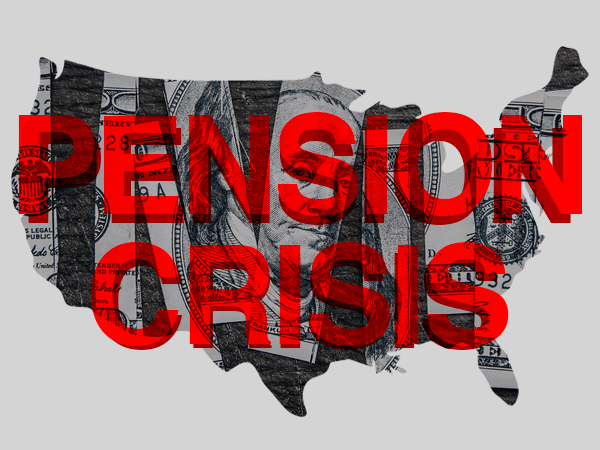 The pension crisis is out of control and likely can’t be recovered. It’s looking like the pension crisis may escalate to a whole new level. 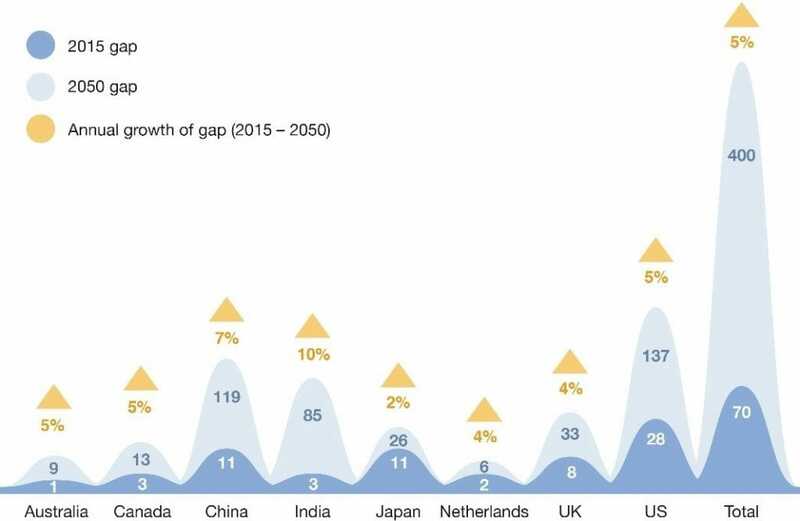 Not only is the worldwide total pension savings gap set to reach $400 trillion, an amount larger than 20 of the world’s largest economies, that gap is still growing 5% annually. A major problem, however, is the fact that low-income earners won’t survive at the “70% level.” If the pension system implodes, they could end up with nothing. Adding fuel to the fire, there’s likely to be more retirees who could potentially live much longer lives, thanks to advances in medical technology. Mr. Goulet may well be right, and the clock is ticking. But the proposed solutions to the pension problem seem desperate. According to a recent Sovereign Man report, a “safety net pension for all” similar to U.S. Social Security was one proposed solution. Another proposed solution was to increase contribution rates, meaning younger workers pay more to support older retirees. But as we’ve reported, Social Security benefits seem to be nearing “doomsday,” and there just aren’t enough people being born to keep retiree benefits afloat. So no matter how you look at it, there is incredible financial pressure on a broken pension system. It’s only a matter of time before the average person who depends on Social Security and their pension runs out of luck. The Government won’t be able to save their retirement, so they’ll be on their own. Most retirees don’t have a solid foundation if their pensions get cut or stopped. If you’re in the same boat, now is the best time to make changes. Don’t let your retirement get demolished if your pension goes away. Assets such as physical silver and gold can add much needed diversity and stability to your portfolio in dire times.